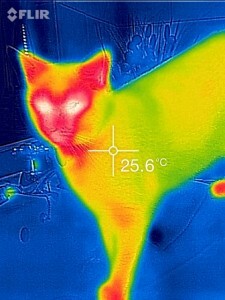 I’m excited to announce that i can now offer Thermal imaging alongside my physiotherapy treatments. 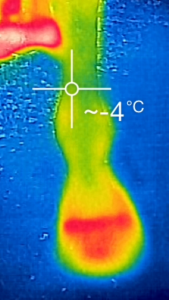 Thermal imaging allows anatomical structures to be easily discerned, and pinpoint the seat of pain, allowing diagnosis or more targeted tests to be performed – saving time and money. Thermal Imaging effectively identifies problems in bone as well as soft-tissue, and can assist in the detection of nerve damage and dysfunction. It objectively measures the extent of any issues, and is highly effective for monitoring recovery progress. Thermal imaging detects underlying problems by revealing heat. It also allows us to record changes and monitor changes with your animal.